One of the most popular anime and manga series you can find today is My Hero Academia. The series is a story about superheroes and centers on a boy named Izuku Midoriya, who was born without a Quirk. 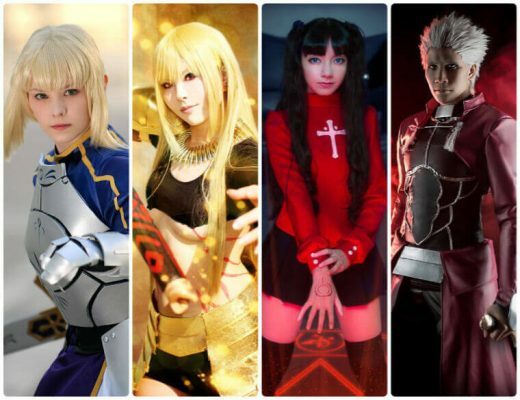 It’s an unusual thing, considering Quirks are common in this superhuman world. But Izuku is not the only character in the series, as there are also other characters in the series that people grew fond of. 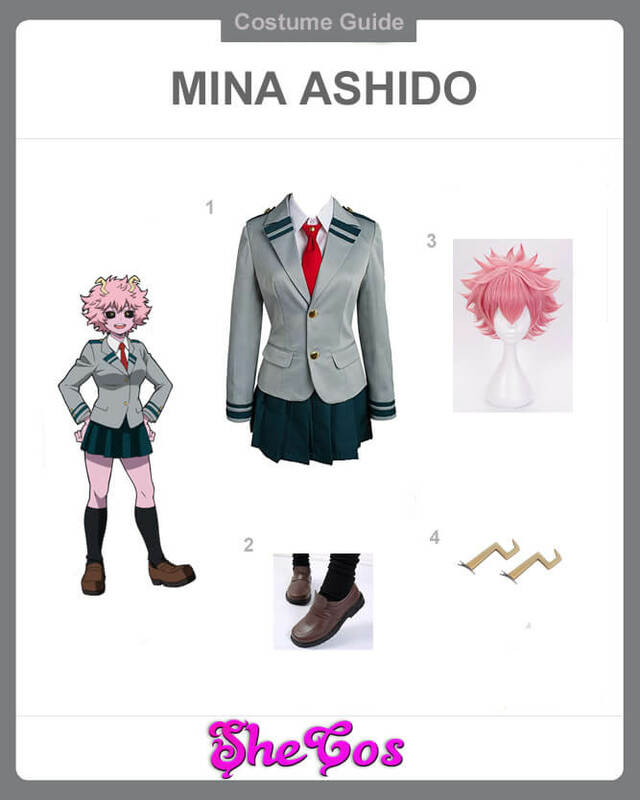 One such character is Mina Ashido. Mina, who is also known as Pinky because of her skin color, is a student at U.A. High School that is also training to be a Pro Hero. She has the best reflexes out of all the girls in the school and out of almost anyone in Class 1-A. Her Quirk is acid, which allows her to shoot out the liquid from within her body. Acid is also the reason why her skin is color pink. 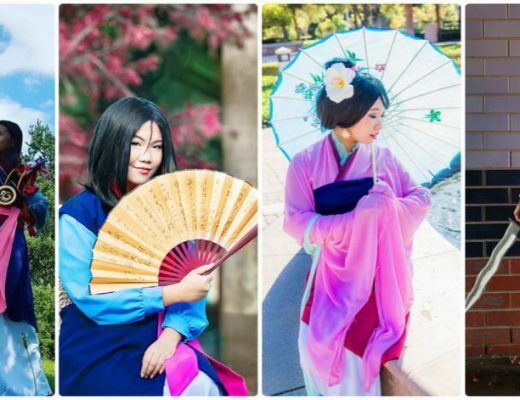 Mina is also one of the characters people want to cosplay in. And like a lot of the characters in My Hero Academia, she has been seen to wear several outfits throughout the series. Her regular, of course, would be her U.A. school uniform and her battle outfit. Mina Ashido is one of the characters in My Hero Academia that has a unique look. Her skin is tinted pink due to her acid Quirk. She also has yellow irises, black sclera, and yellow horns showing on top of her head and visible among her short pink messy hair. For this cosplay set, you will get her full Boku No Hero Academia Uniform. The uniform consists of a light grey coat with blue-green lines on the sleeves and shoulders. It is worn on top of a white long sleeves polo and a red necktie. The outfit also includes black knee-length socks and brown shoes. Mina’s costume also comes with a short pink messy wig to represent the character’s hair and a golden headdress to represent the horns in her head. Mina Ashido is a cheerful student that mostly has a smile on her face. She is a very emotional girl that easily cries in situations where she feels sadness, relief, or frustration. Mina is also a very easygoing individual that easily gets excited, especially when it comes to the love life of the people around her. Despite being like a kid at times, because of her personality, she is one tough student and will not hesitate to stand up to bullies, even if she is afraid. If you look at the cosplay photos, you can see that Mina is one of the characters in My Hero Academia that will still look good, even if she is wearing her Boku no Hero Academia School uniform. Her uniform, alone, already gives you various looks. You can wear it with the coat just hanging on your shoulders or have it unbuttoned. Or you can wear it traditionally, all buttoned up.